Commercial Overhead Doors, Muskoka, ON | AAA Door Guys Inc.
We sell and install quality commercial overhead doors in the Muskoka, ON area. Commercial Overhead Doors in Muskoka – At AAA Door Guys Inc., we understand that your business’ garage door can take a beating. This is one of the main reasons why we sell and install quality commercial overhead doors that are designed to withstand the daily wear and tear that comes from running your operations. We sell commercial overhead doors that are made out of aluminum glass, rubber, and wood and offer steel non-insulated, steel insulated, and fire-rated doors. We also sell devices like photo eyes, loop detectors, and safety edges, which are designed to make your garage door safer for you and your employees to use. It is our goal to provide you with high-quality products that can enhance your business’ operations on a daily basis. Not only do we sell and install commercial overhead doors, but we also repair them. 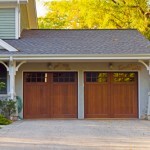 We realize that when your garage door starts to malfunction, your company’s profitability is at stake. For this reason, we offer 24-hour emergency repair services in the Muskoka, Ontario area. When you call us for help, you can rest assured that we’ll get to your location and take care of the problem as quickly and efficiently as possible. Our commercial overhead door installation and repair services are complemented by unbeatable customer service. At AAA Doors Guys Inc., it is our primary goal to make sure you continue to choose us for all of your business’ garage door needs. To find out more about what sets us apart or to schedule a time for service, please contact us today. 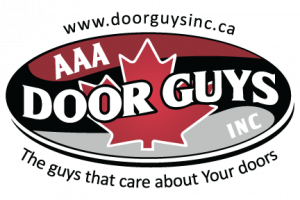 At AAA Door Guys Inc. we offer quality and affordable commercial overhead doors in Muskoka and the surrounding areas including Orillia, Angus, Barrie and throughout Simcoe County!